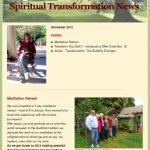 November 2012 Inside: Meditation Retreat Transform Your Self-1 – Introductory Offer Ends Nov. 15 Article – Transformation: The Butterfly Emerges Check it out here! 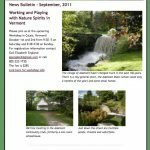 Keep in touch and sign up for our newsletter – in the form on the right sidebar. 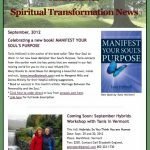 September 2012 Inside: New book: Manifest Your Soul’s Purpose: the essential guide to life and work Upcoming Hybrid Workshop, Meditation Retreat and Self-Study Programs Feature Article: Marriage Between the Personality and the Soul Link Here for our September Newsletter Keep in touch and sign up for our newsletter – in the form on the right sidebar. 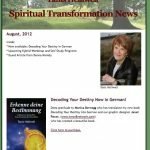 August 2012 Inside: Now available: Decoding Your Destiny in German Upcoming Hybrid Workshop and Self-Study Programs Guest Article from Donna Miniely Link Here for our Summer Newsletter Keep in touch and sign up for our newsletter – in the form on the right sidebar. 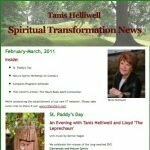 Meditation Inside: Leprechaun books now in EPub for Tablets Feature Article on Meditation Link Here for our May Newsletter Keep in touch and sign up for our newsletter – in the form on the right sidebar. (LINK) Einen schönen Valentinstag! 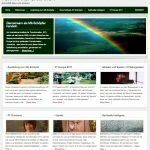 FEBRUAR 2012 Der Artikel dieses Monats am Ende des Newsletters trägt den Titel Liebe ist alles, was wir brauchen und wurde von einer unserer frisch Graduierten, Shelly Ferec-LeGall, geschrieben. Außerdem gibt es auch ein inspirierendes Video von tätiger Liebe. Viel Freude damit. 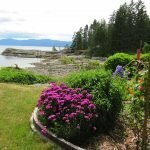 Our most recent News Update with upcoming September events. Keep in Touch, subscribe to the IIT Newsletter – look for the subscription form – below right. 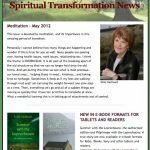 Link to the full newsletter HERE Inside: Nature Spirits Workshop (In Canada) New DVD Release European Programs Schedule Book Launch Review Upcoming Meditation Retreat This month’s article: A WAKE-UP CALL Keep in Touch, subscribe to the IIT Newsletter – look for the subscription form – below right.